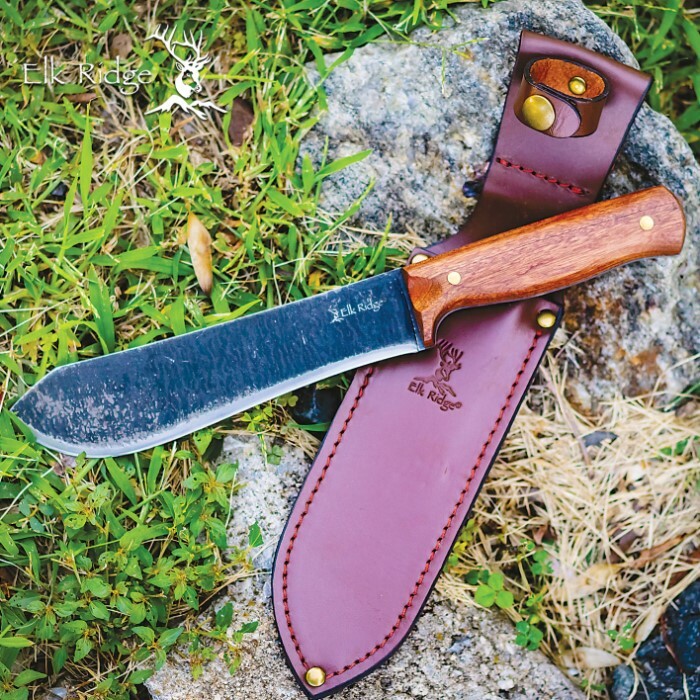 The Elk Ridge Stalker Fixed Blade Knife is a handsome but also extremely capable hunting knife that you can depend on when you’re out during the season. The full-bellied knife has a full-tang, razor-sharp 7" 65Mn high carbon steel blade with a black rough-hewn finish. The handle scales are of beautiful and rich cherry wood and they are securely attached to the tang with brass pins. The 11 3/5” overall fixed blade knife fits like a glove in its premium leather belt sheath with a handle strap brass snap closure.